NASA launched another of the world's most advanced weather satellites on Thursday, this time to safeguard the western U.S.
GOES-S is the second satellite in an approximately $11 billion effort that's already revolutionizing forecasting with astonishingly fast, crisp images of hurricanes, wildfires, floods, mudslides and other natural calamities. Besides the West Coast, Alaska and Hawaii, GOES-S also will keep watch over Mexico and Central America. It will become GOES-17 once it reaches its intended 22,000-mile-high orbit over the equator in a few weeks, and should be officially operational by year's end. "We can't wait!" 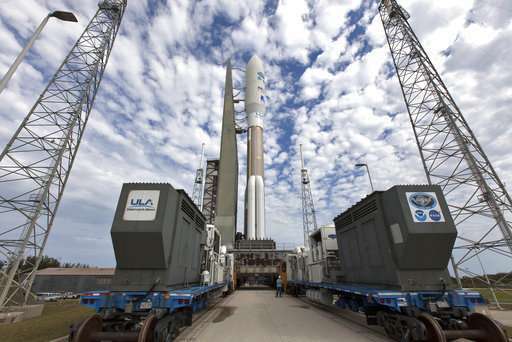 tweeted the National Weather Service in Anchorage just before the rocket soared from Cape Canaveral Air Force Station. 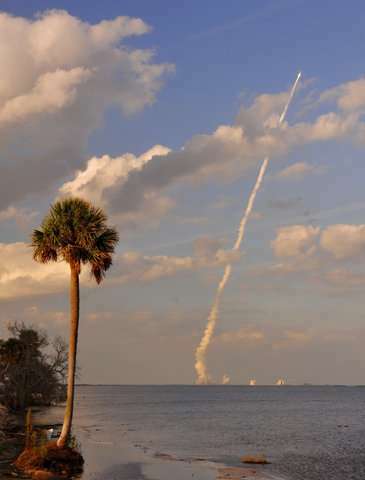 The weather service's Jim Yoe said on NASA TV that he was "really excited" to see his first launch in person. "I'm even more excited about the work that's coming up for me and my colleagues, putting these new data to work for better forecasts and warnings for the American public," said Yoe, an official at the Joint Center for Satellite Data Assimilation. With these two new satellites, NOAA's high-definition coverage will stretch from the Atlantic near West Africa, a hotbed for hurricane formation, all the way across the U.S. and the Pacific out to New Zealand. It's the third weather tracker launched by NASA in just over a year: "three brilliant eyes in the sky," as NOAA satellite director Stephen Volz puts it. GOES-16 launched in late 2016 and an environmental satellite rocketed into a polar orbit from California last November. These next-generation Geostationary Operational Environmental Satellites, or GOES, are "a quantum leap above" the federal agency's previous weather sentinels, Volz said. This is the 18th launch of a GOES since 1975; one was lost in an explosion during liftoff and all but three of the satellites already up there are retired. 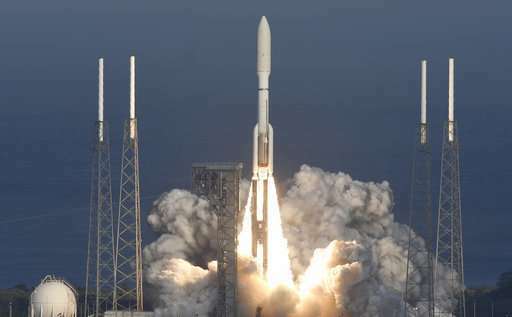 Rockets by United Launch Alliance, a venture between Lockheed Martin and Boeing, carried all those GOES. 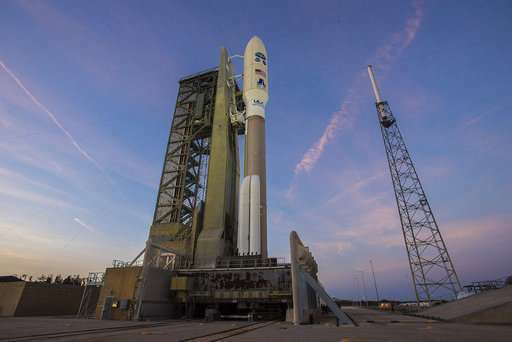 GOES-16 "turned out to be better than we expected it to be," said National Weather Service director Louis Uccellini, on hand for Thursday's launch. The satellite wasn't officially on duty yet, "and we were just standing there gawking at the imagery,"
The satellite also alerted authorities in Texas and Oklahoma to the eruption of new blazes even before the 911 calls came in, Uccellini said. He said the satellite also tracked the direction of the fires like never before, prompting first responders to later tell NOAA: "You saved lives." Those who can predict the weather have an advantage -- and in every way -- over everybody else.